QUICK SHIP KD Top Drop laminated plastic cabinet fast food restaurant and cafeteria style trash receptacle. Knocked Down ( easy assembly required ) for fast, economical shipping. PVC 8" diameter round drop hole. 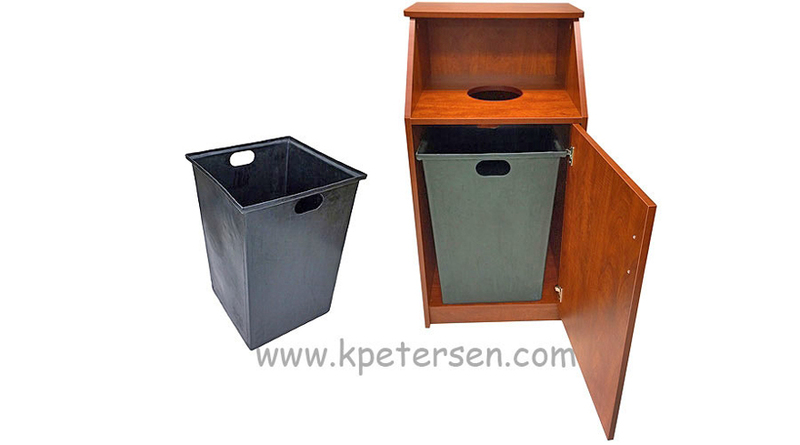 QUICK SHIP Top Drop Trash Containers are available in Two Colors: Black and Cherry Woodgrain Laminate. 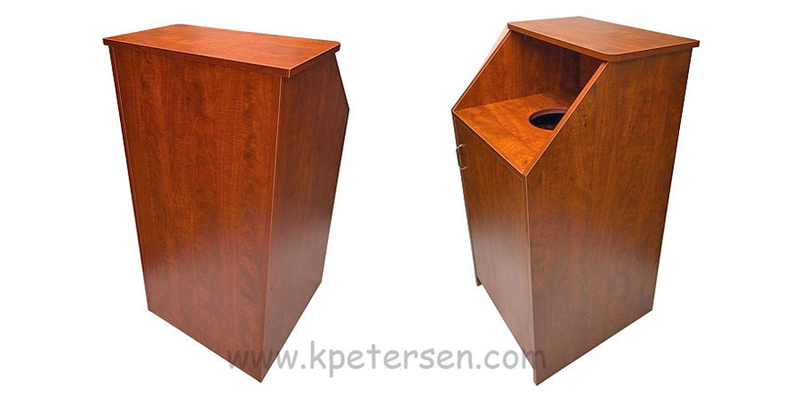 Available in Two Colors: Black and Cherry Woodgrain Laminate. Simple Assembly Required*. We estimate one hour per unit assembly time. 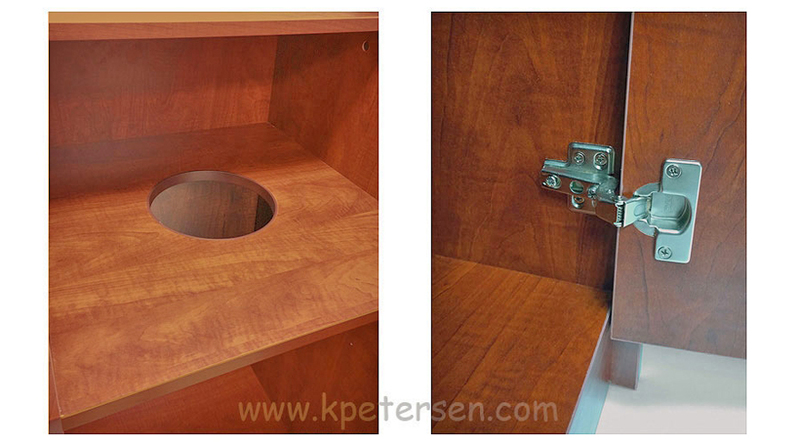 Door Hinge Hardware Is Adjustable And Aids In Mounting Door To Cabinet Properly. *Quick Ship Waste Receptacles CAN Be Shipped Assembled For An Additional Charge And A Slightly Longer Lead Time.